Slab Leak Repair - Ameri-Cal Repipe and Plumbing, Inc. If you do not use much water but your water bill is high this also indicates a water leak from one of the pipes. If you face any of the above symptoms, don’t wait just call Ameri-Cal Repipe and Plumbing. Why choose us over others? We are a team of professional experts that are dedicated to provide best plumbing service to the people. We use our experience in every new project and that reflects in our work. 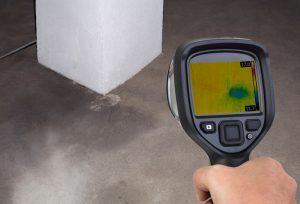 Like other companies, we don’t just breakdown slab from random areas and find about the leak. Such amateurs dismantle the property of the customer in search of leaks. Call us to know more about our services and price packages.